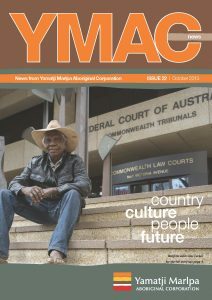 YMAC is proud to share with our readers that the organisation has been shortlisted for the Australian Institute of Management (AIM) WA WestBusiness Pinnacle Awards in the category of Aboriginal Leadership Development Excellence. The awards recognise business leadership in the Western Australian community. All of the award winners across the several categories will be awarded prize money to go to a nominated charity of their choice. The winners will be announced at a ceremony on 28 November. YMAC congratulates all of the other nominees. The Standing Committee on Public Administration will hold public committee hearings for its inquiry into pastoral leases this November. The Committee will be travelling to Carnarvon for a public hearing on 5 November and to Port Hedland for a public hearing on 6 November. The outcomes of the inquiry will impact on the way pastoral leases are administered into the future. Click here for more information and to view the inquiry’s terms of reference. Members of the public can sit in on the hearings, but to have your say to the committee, contact Lauren Mesiti on 9222 7376 as soon as possible, as places are limited. YMAC is proud to release our Annual Report for the 2012/13 financial year. It contains many of the highlights from the year, messages from the CEO and Co-Chairs about big issues facing native title claimants, complete financial statements, and many beautiful pictures of country.